Management and leadership are increasingly important within the organisation and delivery of social care services and now form part of the post qualification framework for social workers. Yet, whilst there is a relatively broad understanding of management concepts and their application in social care, their foundations often go unchallenged both by students and managers. Furthermore, leadership is open to a wide range of interpretations and is often ill-defined with the expectation that we share a common understanding of the term. 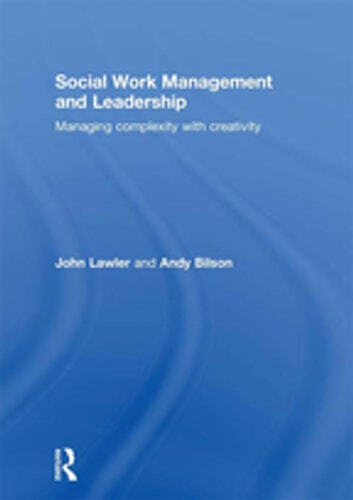 This text promotes an appreciation of the development of management and leadership thinking and the different themes which inform current ideas. It considers these topics from a range of theoretical standpoints in order to stimulate readers to consider their own experience and expectations of management and leadership. It then demonstrates how these standpoints might promote innovative approaches to management and leadership within social care organisations and ways in which such organisations might then develop. The aim of this challenging text is to encourage critical and informed reflection on current practice. Social Work Management and Leadership is essential reading for students of management and leadership in social care as well as being an invaluable resource for managers who simply wish to consider new approaches to their practice.